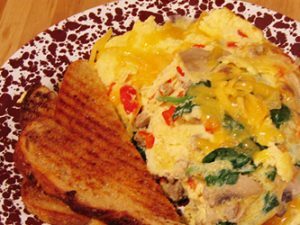 Get your day going with a sunshine omelet served with your choice of toast or have some home-style biscuits & gravy. We have other delish breakfast items all prepared fresh in our Deli. See ya there! Grab a hot pie at Chuck’s! 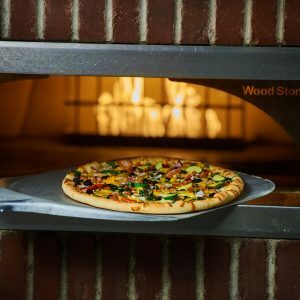 Stop by our brick pizza oven where our tasty pizzas are created. Each pizza bakes right in front of you! You can by it by the slice or whole! We use quality ingrediants and our dough is made in house! 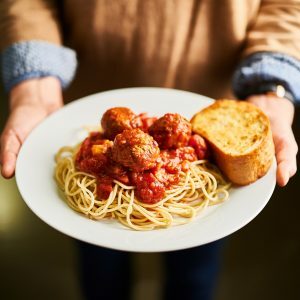 For example, wonderful Sicilian pasta with chicken sausage, salad and garlic bread. 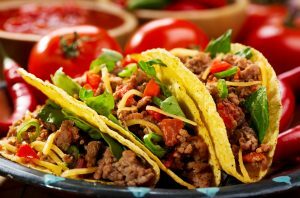 Add your choice of meat, tomatoes, avocado, and salsa to build the perfect taco, burrito or taco salad. There’s nothing quite like a tasty bowl of soup to warm you up! 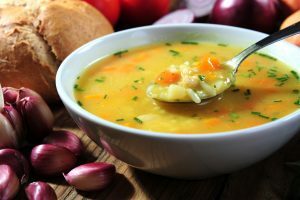 – Posted soups are subject to change throughout the day due to availability.